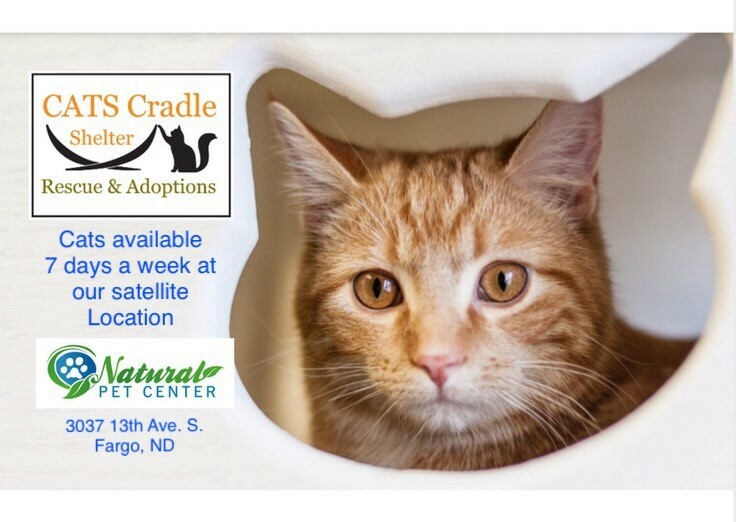 Cats Cradle Shelter has partnered with Natural Pet Center in Fargo to offer adoptable cats 7 days a week. We supply up to five cats at all times that are ready to go into their new homes during Natural Pet Centers regular business hours Monday -Friday 9AM-8PM, Saturday 9AM-6PM, and Sunday 12PM-5PM. Don’t forget to pick up all your pet supplies while you are there.